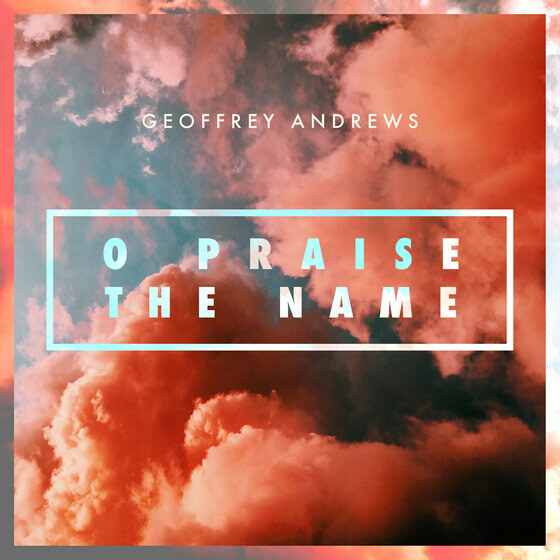 JFH News: Geoffrey Andrews Releases "O Praise The Name (Anástasis)"
26 March 2018 - Franklin, Tennessee-based Courage Management Group announces the release of vocal powerhouse Geoffrey Andrews' newly recorded song, "O Praise The Name (Anástasis)" today on all digital formats. The song, which was originally recorded by Hillsong Worship in 2015, is a timely release to celebrate in the Easter season, sharing in both the death and resurrection of Christ. The song can be heard on Spotify and is also available for download on iTunes and Amazon. Well-known for his tremendous vocal ability and comparisons to household names such as Josh Groban and Andrea Bocelli, Geoffrey Andrews' hope is to follow in their footsteps on an international level. He is already on the way to worldwide status with his upcoming Christmas record set to release later this year, which he recorded with the London Symphony Orchestra at the renowned Abbey Road Studios in London. Andrews also has connected in the contemporary Christian marketplace by touring the past couple of years with artists such as for King + Country, Selah and Point of Grace. It was in 2013 when he gained further attention, thanks to Sirius XM Radio playing his holiday covers of “White Christmas” and "Christmas (Baby Please Come Home)." Two of his singles that went to radio, "I'll Still Love You" and "You Don't Stand Alone," hit No. 21 and 24 on the Top 40/AC Chart, respectively. But Andrews' success in the industry is more than just a strong voice; the need for self confidence is crucial, which is something he struggled to find from the beginning of his life. He was born with bilateral clubfoot deformity, and then at age eight was diagnosed with Tourette Syndrome. “When you're labeled in school as 'different' by your peers, it's a hard road to travel," he shares. "I was laughed at, punched and spit on by almost everyone. But, I believe God brought me out of those situations. And, I believe going through the difficult times made me stronger today. I also have a big heart for children who may also be experiencing what I went through back then. My hope is to encourage them and their families to keep pushing forward in life, and not give up." When it comes to his music, Andrews is eager to see where the journey takes him "I'll often wonder to myself, what lies ahead? "I'm excited...about the possibilities. If someone wants me to come to their hometown or venue, I'm willing and able to go just about anywhere to sing and share my story." To find out more about Geoffrey Andrews and to hear his new song "O Praise The Name (Anástasis)," please visit GeoffreyAndrews.com and on his social links below.